AquA AnimaniA is your #1 local source for live aquatic plants for saltwater and reef aquariums of all shapes and sizes! Using aquatic plants helps your tank maintain a viable ecosystem. They absorb waste products given off by fish, and re-oxygenate the water. Aquarium plants also help to prevent algae growth by using the nutrients that algae would use, and filling the natural formation of photosynthetic flora. Tropical fish, by instinct, hide around and among aquatic plants, so having them in the tank promotes healthy fish as well as a healthy environment for those fish. AquA AnimaniA is well known throughout Ontario for aquatic plants! One classification of aquatic plant is the free-floating water plant. These are plants which float on the surface providing shade for fish and combating the growth of algae. Examples of free-floating aquatics are the beautiful violet-flowered Water Hyacinth and Water Lettuce. Unfortunately, both have escaped cultivation and become a serious weeds clogging waterways in the southern parts of the United States. A second group is known as emergent plants. In emergent plants, leaf and flower production takes place mostly above the water such as with the Water Lily and the aquatic fern Marsilea. Water Lilies are deep water plants, growing in water 12 inches deep or more. Marsilea, commonly called the Four-leaf Water Clover, is a shallow water plant typically found in water depths of 6 inches or less. Some Water Lilies are viviparous, with new plantlets forming on the leaves of the parent plant. Bog plants grow in constantly moist, but not totally submerged areas around the rim of bodies of water. Many carnivorous plants thrive in boggy and swampy areas. Cyperus plants also enjoy swampy conditions. This genus includes Cyperus papyrus, the plant used by ancient Egyptians for making writing paper. Another type of aquatic plant is the submerged aquatic, where leaf and flower production takes place mainly below the water surface. Oxygenating plants grow totally submerged and perform the important functions of producing oxygen, competing with algae for nutrients in the water, and providing a spawning area for fish. The flowers of Elodea, an oxygenator plant, are water-pollinated. Aquatic plants are, for the most part, secondarily adapted to the water. 1% of higher plants could be described as aquatic plants. 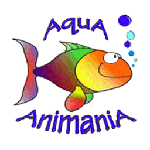 Trust AquA AnimaniA for the highest quality and healthiest live reef coral, saltwater marine fish and freshwater tropical fish species in the industry. We also carry a full line of pet supplies, fish supplies, aquariums, aquarium kits, aquarium filters, aquarium heaters, aquarium pumps, aquarium supplies, aquarium tanks and tons of aquarium accessories!